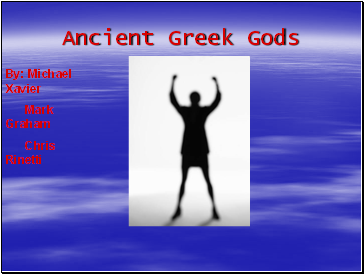 The gods were not the first rulers of the universe. 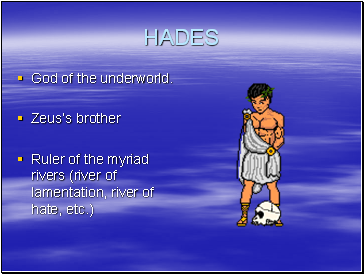 Legends say that the Titans ruled the universe first. 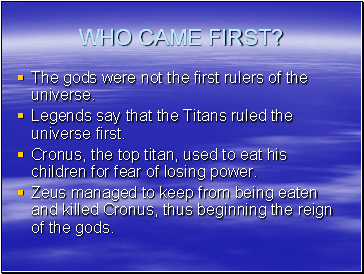 Cronus, the top titan, used to eat his children for fear of losing power. 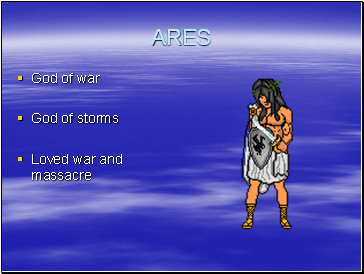 Zeus managed to keep from being eaten and killed Cronus, thus beginning the reign of the gods. 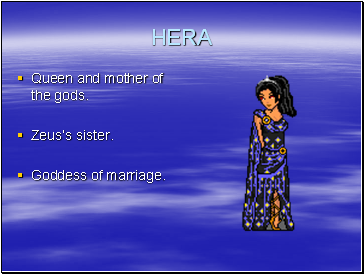 Queen and mother of the gods. 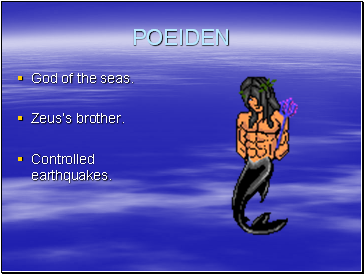 Born from the foam in water. 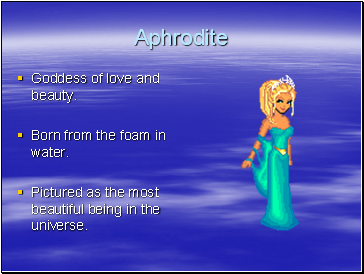 Pictured as the most beautiful being in the universe. 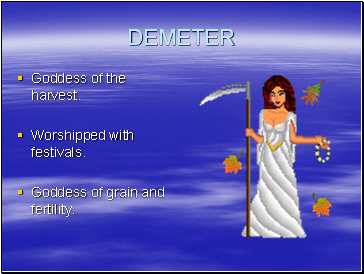 Goddess of grain and fertility. 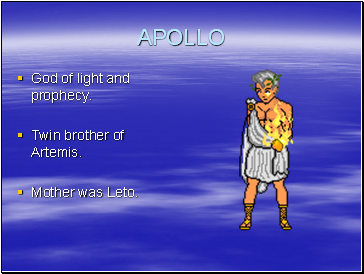 God of light and prophecy. 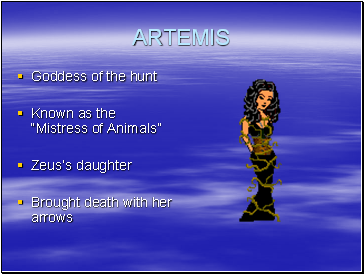 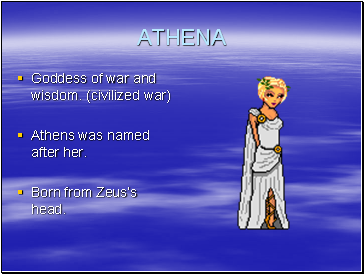 Athens was named after her.